Posted: Sunday, August 14, 2016. 11:53 am CST. By BBN Staff: CNN, one of the world’s largest and leading media houses, will be visiting Belize and teaming up with Breaking Belize News to film a documentary on Simone Biles and the place she considers her second home, Belize. CNN’s documentary follows an article written by the New York Times, which was published last week and included a team from the Times visiting Belize and getting quotes from relatives and even the Prime Minister’s wife, Kim Simplis-Barrow. 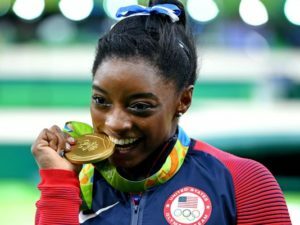 Biles has gained attention for her accomplishments during the Olympic games in Rio and also for bringing exposure to Belize. The Belize Tourism Board (BTB) took advantage of the marketing opportunity by offering a 5-day all expenses paid vacation to Biles and her teammates, which they have since accepted.